At the outset, I will admit that I have never gone into a David’s Bridal store, but there are commonalities in its announcement of entering Chapter 11 bankruptcy protection that closely mirror other dominant retailers recently in trouble like Sports Authority, Toys-R-Us (both now defunct) and Guitar Center (still around but struggling). Most news stories about these firms focus on the changing retail environment, online selling, and other new competition, despite in all four cases having a still-strong market position and lots of high-quality store locations. What the stories are missing are two other factors that all four of these retail chains had in common. Each of these organizations had gone through a highly-leveraged buy-out in recent years (two in the case of David’s Bridal), with control winding up in with a private equity firm. I have written in the past how private equity (PE) firms, starting with Mitt Romney’s Bain Capital, are really just sophisticated “tax welfare maximizers.” The most common strategy is to take a “cash cow” company (sagging growth but reliable EBITDA cashflows), purchase it with very high levels of tax-favored above-market-interest debt, and then drain the cash to pay the high interest on the debt plus pay (again tax-favored) “carried interest” and other fees to the new owners. Now cash-starved, as many as 30% of these new PE acquisitions will fail without the capital required for innovative re-investment. Then comes the third tax-favored strategy, which is “strategic bankruptcy” once the small original cash investment from the LBO has been recouped. Although the chain has been around since the early 1950s, David’s Bridal moved to a “warehouse concept” in the 1980s. It’s business model then was quite simple: to sell quality wedding apparel from a large selection in modest stores and at good prices. The chain briefly went public in 1999 when it had broken the 100-store level, dropping its long-term debt briefly to around 1% of its sales. In quick succession, however, the chain was first sold to May Department Stores in 2000, and then May itself was sold to Federated Department Stores (Macy’s) in 2005. In 2006, Federated sold off David’s Bridal to PE firm Leonard Green & Partners, not coincidentally already the owners of the doomed Sports Authority. In the process, the company picked up somewhere in the neighborhood of $700 million or more of long-term debt, approaching a nearly one-to-one ratio of sales to debt. In 2012, the controlling interest was sold to yet another PE firm, Clayton, Dubilier & Rice, and then, in November of 2018, was taken by that firm into Chapter 11 protection, trying to shed over half of that debt. Along the way, now having grown to about 300 stores, David’s Bridal seems to have changed its business strategy, in the face of trends toward older brides and less-formal weddings, to what I would call “Let’s see how much cash we can extract from the bride and her family.” Emphasis shifted from affordability to high-end, high-priced lines like Vera Wang. This was the doomed quest for higher prices hiding stagnant or declining sales units. Through all of this, David’s Bridal has maintained its dominant share of the market and an EBITDA cashflow in the neighborhood of 12% of sales revenue. Like its other “big box” retailer compatriots, it is the huge level of debt and extracted PE fees, not the operational cashflow, that is killing the company. Without a doubt, all retailers have been challenged by new alternatives. But you don’t go from being a profitable 300-store, market-leading chain one day to bankruptcy the next unless you have been driven into the ground by the financial criminality of your owners, who have already made their own financial “killing” in this deal. How do private equity firms win out in bids for these retailers? My contention is that you can quantify the “winning premium” paid as equivalent to the tax advantages of the high levels of debt (now a less attractive strategy than in the past) plus the ability to extract cash quickly and pay tax-favored carried interest fees to the new owners. In effect, other taxpayers are indirectly subsidizing the takeover premium and getting no benefit from it. My thoughts go to a now-deceased casual acquaintance who had a reputation as a “successful real estate developer.” It seems he always made money, and people lined up to invest in his projects, at least for a while. Eventually, people seemed to catch onto the reality that, while he made money, everyone who ever invested with him lost everything. So, why do lenders continue to support private equity when the loans disappear in bankruptcy court? The law is apparently on the side of the borrowers, but that doesn’t mean lenders have to keep lending. My suspicion is that investment bankers are lending money that isn’t theirs and extract high fees in the process, but then why would people and institutions with money to lend keep relying on these investment bankers? It’s perplexing to me. Huge sums wind up in the hands of PE firms, and someone comes up short. So, why don’t they say something? Often in PE debt placements the lenders themselves are private high-net-worth individuals, often not US-based, looking to get above-market rates and willing to take the risk. 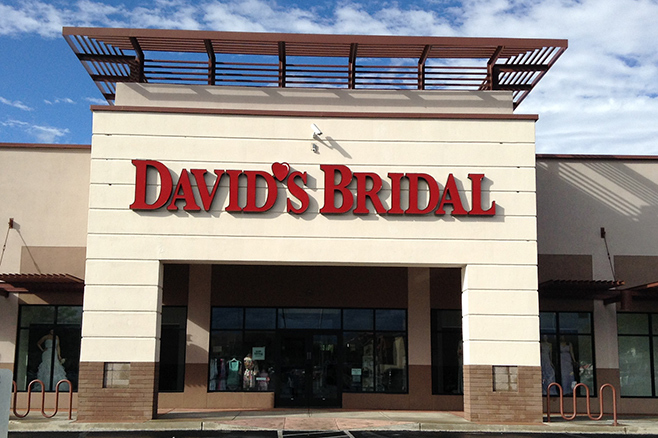 In the case of David’s Bridal, much of the debt is a medium-term “revolving credit” arrangement financing inventory, not uncommon in big-box retailing, which sometimes means that some of the suppliers are funding their own inventory floor space. If I recall correctly, this is what closed Sports Authority so abruptly. The suppliers were going to take the brunt of the bankruptcy hit, so they moved quickly to regain control over their inventory, forcing immediate closure of the stores.